Pieces of information can only be evaluated if knowledge about the quality of the sources of information is available. Typically, this knowledge pertains to the source relevance. 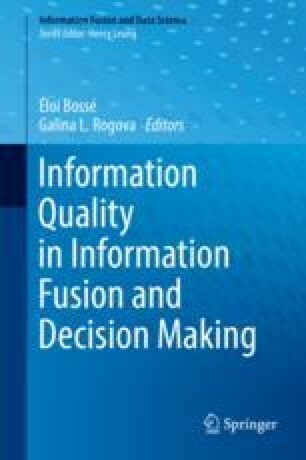 In this chapter, other facets of source quality are considered, leading to a general approach to information correction and fusion for belief functions. In particular, the case where sources may partially lack truthfulness is deeply investigated. As a result, Shafer’s discounting operation and the unnormalised Dempster’s rule, which deal only with source relevance, are considerably extended. Most notably, the unnormalised Dempster’s rule is generalised to all Boolean connectives. The proposed approach also subsumes other important correction and fusion schemes, such as contextual discounting and Smets’ α-junctions. We also study the case where pieces of knowledge about the quality of the sources are independent. Finally, some means to obtain knowledge about source quality are reviewed. This chapter is a shorter and revised version of .